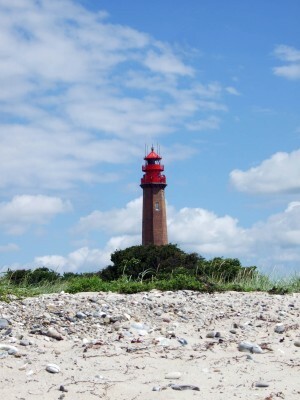 Fehmarn's beaches are perfect for a spot of relaxation or a gentle walk. 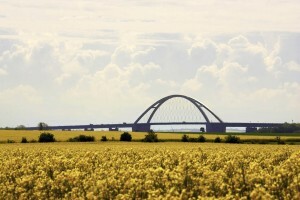 In May, the Fehmarn Sound Bridge is surrounded by fields of blazing yellow. 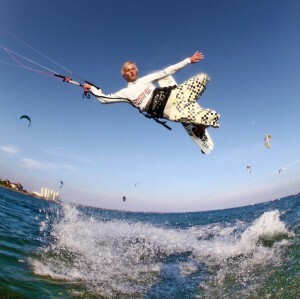 Every year on Fehmarn, top kitesurfers compete for the annual Kitesurf Trophy. 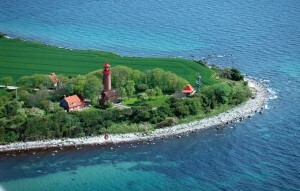 Flügger lighthouse can be seen from many points on the island. The painter Ernst Ludwig Kirchner immortalised Staberhuk lighthouse in a number of pictures. 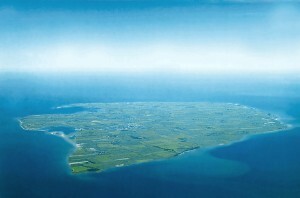 Fehmarn, at 185km², is Germany's third-largest island. 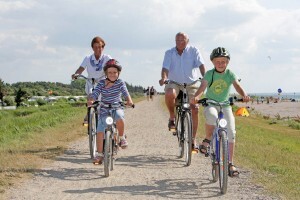 Fehmarn offers a variety of cycle trails for discovering the island by bike. 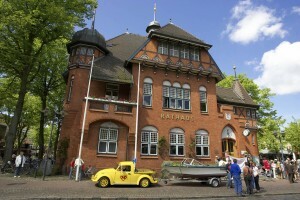 Burg's town hall, built in 1901, is a popular wedding venue even for couples from elsewhere. 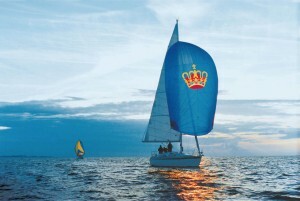 The 'golden crown in the blue sea' has been used as the flag of Fehmarn Island since 1580 and is still proudly displayed by the island's inhabitants, or (in this case) used as a sail. 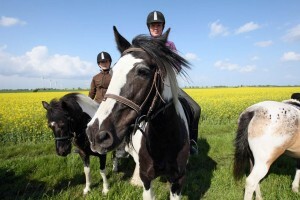 Children can play to their hearts' content on Fehmarn's sandy Südstrand beach. 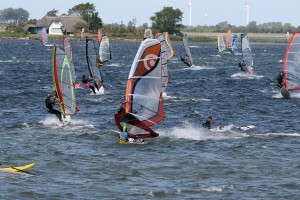 Windsurfers and kitesurfers are in their element on Fehmarn. 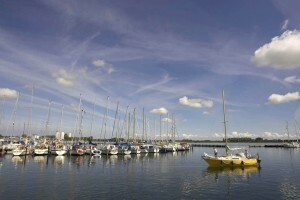 Sailors and non-sailors alike will love the island's marina. Why not take a walk around the unique circular jetty at Burgtiefe's marina?